F3 This low wall residential fence in Encinitas, CA offers security to the backyard of our client's home. The existing wall was low, so we added this two foot high fence to keep the homeowner's pets in and make it difficult for intruders to enter their yard. F9 Fences can be installed on any terrain. 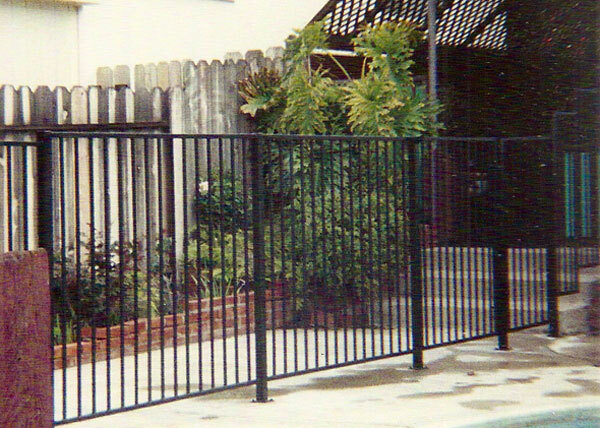 This California style steel fence in Escondido, CA was installed on a 35 degree slope in a homeowner's side yard. It was designed to show the natural terrain of the hillside. This fence is made from a 1" steel tube frame, &frac58;" steel tube pickets, and 2" x 2" steel tube posts. 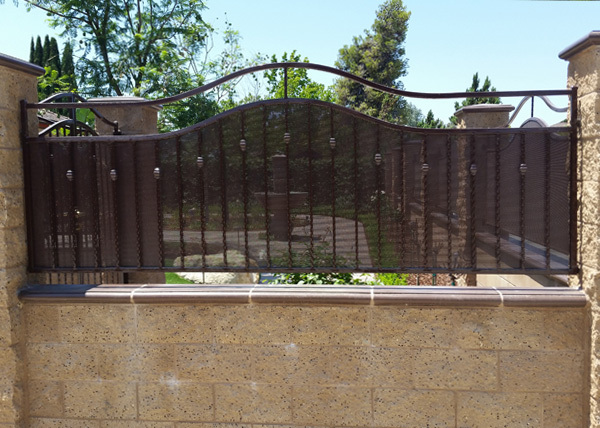 F14 This fence in Bonita, CA was made to keep an escape artist dog from getting out. The pickets are spaced 2" apart and have a slight bend to the inside of the yard. The fence has been up about six months and to date this special fence created for a special dog has successfully prevented any escape attempts. F15 B.A. 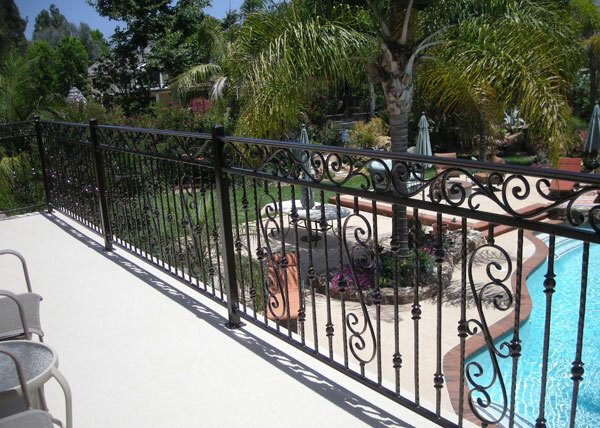 Ramirez & Sons built this ornamental steel fence for a San Diego residence. 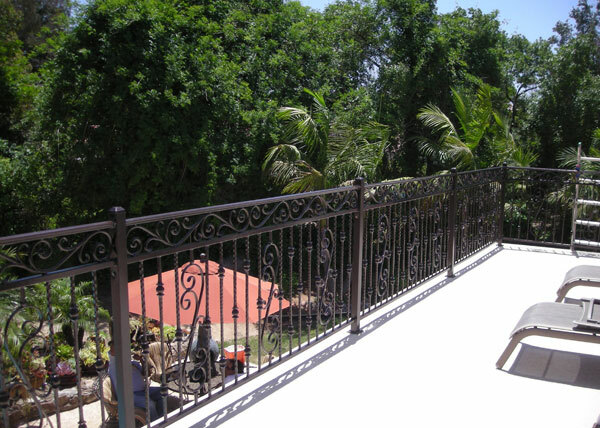 The fence combines aluminum castings that are made in a foundry and designed to be used in decorative gates and fences. The fence was coated with zinc primer and a gloss white powder coat finish. F16 We built this backyard patio fence as an enclosure for our client's pet turtle in Bonita, CA. The steel fence is made from one inch steel tubes and half inch steel tube pickets. The turtle who had escaped other fences had met his match! F18 The unique style and design of this fence was a idea a client had for their home in La Mesa. We were able to take their idea and build the fence to their specifications. The arched design frame is made from 1" steel tube with 1/2" vertical pickets and 20 gauge perforated metal backing. The fencing was "hot dip galvanized" after fabrication for the ultimate rust protection.